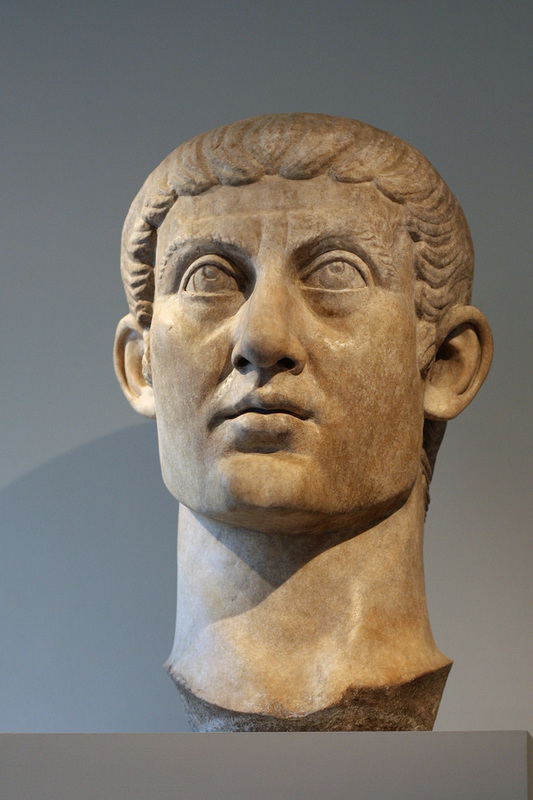 The reforms of Diocletian and Constantine “preserved” the empire, but changed it radically. Diocletian divided the empire into two independent parts, leaving an impoverished and vulnerable western empire. Note that the Western empire had by far the longer frontier to defend, and a much smaller tax base with which to pay for its defense. He established the Augustus-Caesar policy of succession. Under this system, there were two emperors (Augusti), each of whom appointed a Caesar to defend the frontiers. When an emperor died, his Caesar was supposed to succeed him, take over his administration, and appoint a Caesar to defend the frontiers and eventually succeed to the emperorship. This was an attempt to create a stable form of succession — which had been the weakness of the original empire — but it failed. He made the provinces smaller and appointed both a civil and military governor over each. This generally increased government interference at local level and took affairs out of the hands of the middle classes of the provinces. Once they no longer had an important role in the governing of the empire, the imperial administration was able to tax the urban middle classes to the point of destroying them, at least in the western empire. 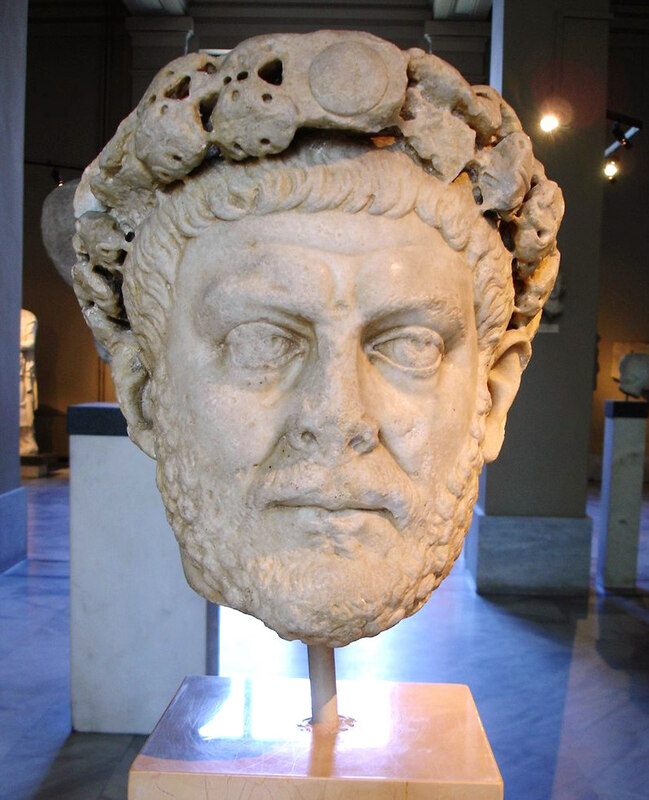 Diocletian adopted Persian court ceremony to make the emperor sacrosanct and removed from the people. This greatly changed the sense of public spirit within the empire. In the first empire, the emperor had been extremely powerful and — after his death — sometimes worshipped as a god. During his lifetime, however, his status — in theory at least — was that of the foremost of the citizens of Rome. After Diocletian’s reforms, the emperor became the “lord” of the empire. The later emperors rarely governed in person, but acted through appointed officials. They were thus isolated from the actual state of affairs in their realms and were often controlled or at least greatly influenced by palace officials. 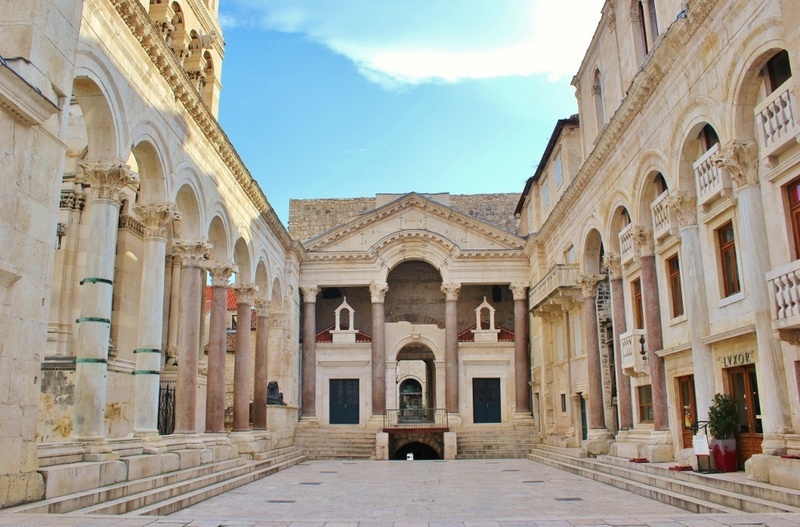 Diocletian ended debasement and re-established a gold standard. Unfortunately, there was not enough gold in circulation to produce enough coins to support the economy of the empire, and the monetary reform caused an economic depression. He reduced taxes to two: a property and a head (poll) tax. This simplified matters, and was a combination of a progressive tax on the wealthy (the property tax) and a flat tax upon all (the head tax). Unfortunately, both taxes had to be quite heavy. Diocletian ended practice of tax farming. Tax farming is a practice in which a government auctions off the right to collect the taxes from a given district to a collection company that pays cash for the concession. The tax collection companies pay less than they expect to be able to collect, of course, and they try to collect as much as possible. This leads to abuses. The collectors are not responsible to the people but are trying to make as great a profit as possible, and the government generally ignores their abuses. The more profit the tax collectors make, the higher price they are willing to pay for the right to collect taxes. He exempted senatorial class from taxation. The descendants of anyone who had served in the Roman Senate (a body that was restricted to the noble and wealthy) continued to hold hereditary senatorial status. Immune from taxation and many other expenses, the senatorial class held vast estates and were the richest class in Roman society. This meant that the full weight of the property tax fell on the small farmers and middle-class businessmen and artisans. The farmers who could not pay their taxes could be enslaved (along with their wives and children) and so gave their lands and their persons to local members of the senatorial class. In this way, they avoided taxes but lost their freedom, becoming tenant-farmers (coloni). Diocletian made the urban middle class (curiales) responsible for collecting taxes. If their collections fell short of the government assessment, they were required to pay the difference lout of their own pocket, or face sale of their property and possible personal enslavement. Many curiales tried to flee to the countryside and become coloni, but this was forbidden by law. The provincial middle class, particularly in the western empire, was financially ruined, and the center of economic and administrative life shifted from the cities to the villas of the countryside. Diocletian abandoned frontier defense in favor of a defense in depth in which the troops stationed along the frontier were expected only to slow down an invader’s advance until the field army could be brought up to oppose it. This meant, of course, that the security of the lands near the Roman frontiers was abandoned in the name of economy. He downgraded the frontier legions, once the first-line troops of the Roman army to the status of militia and garrison soldiers. Their armaments and training were neglected, and their discipline and spirit decreased. He hired “barbarian” mercenaries to man a mobile field army and stationed them in the interior. This was a short-range economy. The role of the army in building and maintaining the transportation system and in spreading the roman ideal among both provincials and “barbarians” was ended, and the transportation and communications systems of the empire began to decay. Diocletian combated flight of curiales by making their status hereditary. Each person was required to remain in his trade and to secure someone to replace him in that trade when he died. This ended social mobility and opportunity within the empire, and a good deal of the initiative of the people disappeared. These reforms caused a loss of morale and public spirit. 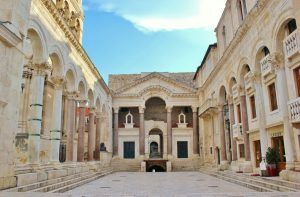 Diocletian attacked that problem by blaming the empire’s problems on the Christians and launched a violent program of persecution against them. Constantine generally continued Diocletian’s policies but added a few of his own. In the period 313-330, he made Christianity an accepted and even favored religion. By 396, it had become the state religion of the Roman empire, both eastern and western. He restored prosperity in the East. Constantine increased gold currency by seizing the endowments of pagan temples and turning them into coinage. The corollary of this is that the West was left to its own inadequate resources and began to decline in power. He shifted the center of the empire to the East, building the city of Constantinople, the “New Rome.” This caused the best talent and wealthiest families to leave Rome for the East. By 400, the capital had been moved out of Rome and, by 404, it was located in Ravenna, a town in northern Italy, protected by a great marsh and with a fortified harbor that allowed the arrival of reinforcements by sea in case the city was attacked. When Rome was sacked by Alaric and the Visigoths in 410, it was no longer an imperial capital. The highest-ranking government official in the city was the bishop. In 455, Attila threatened to plunder the city, and the bishop negotiated with him, arranging to pay him a large sum in return for his sparing the city. By this time, then, the bishop of Rome — the pope — was the actual ruler of the city and the lands surrounding it. The reforms of the 3rd and 4th centuries left the empire — particularly its western portion — looking much like a medieval society. Military power was in the hands of Germans. Town life had decayed, and commerce was dwindling because of the lack of a middle class. Roads and bridges were decaying, sea traffic was endangered by pirates, and communications were ever more difficult. Power in the countryside was in the hands of great landowners living in fortified villas and surrounded by a peasantry dependent upon them for protection, law and order, and economic aid. The state was no longer able to protect its frontiers or maintain civil order, and the Pax Romana had vanished. Nevertheless, taxes were collected to maintain an imperial government that no longer served the needs of the people. The Roman government in the West had become superfluous. In addition, the western empire no longer had the money or manufactured goods to trade with the German kingdoms that had grown up along its frontiers. The Germans had become accustomed to the use of Roman goods and the profits of trade with the Romans. When those goods ceased to be available and their profits disappeared, the Germans crossed the imperial frontiers in search of them. Originally published by Dr. Lyon Harry Nelson to the public domain.